On June 1st 2018 PopSmart Technologies, LLC purchased Pinnacle Office Group Inc. POP makes a commitment to your success. 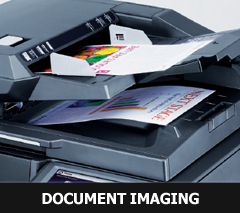 We offer you the best products, service, support, and the solutions for imaging your documents. Email us using our contact form, and we will connect with you for an evaluation of your business imaging needs. 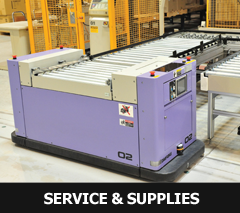 Whether you have a high volume of work or not so much, we have the right equipment to meet your requirements. Our experts provide document solutions to Fortune 500 companies and businesses small and large. POP has equipment for imaging applications in all types of industries, and our digital solutions increase your productivity and decrease your costs. 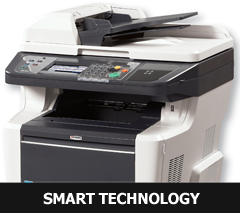 We have B&W printers and copiers that give you digital copies for less plus full-color printers that give you the lowest color cost in the industry. You can also rely on us for consumable supplies. Enjoy superior technical support as well as the convenience of maintenance and repairs performed on-site by a qualified technician. Find solutions for your business imaging requirements. Thank you for visiting Professional Office Products (POP) Mexico’s Business Website. In the last 17 years we have been providers of MFP Printers, Desktop Printer to the Reynosa, Matamores and Nuevo Laredo area of Mexico. Our solutions are unique because we are a TRUE MEXICO service provider headquarter in Reynosa Mexico with our United States Parent company located in Dallas Texas. Our Management team has over 85 years of experience in Imaging / Service. POP is a imaging partner of Index Reynosa and Index Matamoras the association for the Maquiladora Industry. As President of Profession Office Products, I am celebrating my 40th year of providing my customers solutions in both the United States and Mexico. My Experience goes a long way in understanding your business and the necessity for a good reliable partner for your imaging devices. I work to developed my employees to understand the sense of urgency they must have to provide you a Platinum Level of service for your business. We are a team of 15 employees working together to deliver the best service every day. 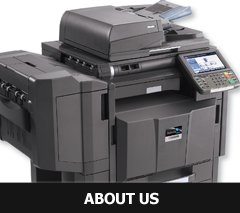 When you are looking to partnership with an imaging provider (Copier, MFP, Printer) call us so we can use our unique tools to provide the best solution for your business. In Mexico, POP carries over $100,000.00 US of parts and supplies to service your needs quickly to maximize uptime of your equipment. Copier providers in Mexico do not carries this level of inventory along with a sophisticated ERP system to keep proper stock levels. Our ERP system is designed to handle the largest of US/Mexico businesses allowing us to monitor service response time, parts usage and uptime of all our customers. It also integrates all our technology tools together, POP Smart, POP’s CRM to create the SMART TRIANGLE. For years many US companies have tried to provide solutions for the Maquiladora Plants in Mexico but fall short on providing the proper flexible programs. Most US Copier Dealers lack the proper permits to cross parts & supplies. Service technicians are dispatched from the US, so they are not able to respond quickly to emergency calls. These companies do not have the local inventories of parts, supplies and equipment. Our mission is to put our customers' satisfaction first. Our consultants are trained to come up with document solutions that will meet your needs, save you money, and improve office productivity. Monday - Friday, 7:30 a.m. - 6:00 p.m.